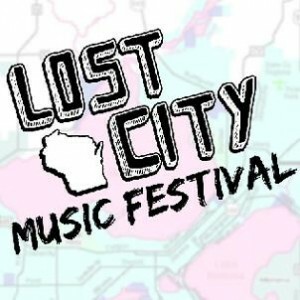 Returning for a second round highlighting the region’s incredible array of musical talent, the Lost City Music Festival presents twenty-eight acts over four days and three venues. Sponsored by Mine All Mine Records and hosted by Madison’s High Noon Saloon, Dragonfly Lounge, and Bright Red Studios from August 8th to the 11th, the festival’s focus on the regional bands reaps an eclectic mix of musical styles. A bargain at $7 per show with an option of full-pass wristbands for only $12, LCMF sweetens the pot by donating a portion of the proceeds to the Madison Area Music Association, supporting MAMA’s commitment to local school music programs to ensure there will be future generations of bands for years to come. The late nights have certainly paid off in a jaw-dropping line-up that includes the bass-heavy Afro-futurism of Madison’s Chants, nineties noise-pop a la Milwaukee’s Filter Free Rodeo, and the melodic rock of Eau Claire’s Softly, Dear. Where else can you spend a weekend absorbing a healthy embrace of chaos from Madison’s Kitty Rhombus, the highly ambitious indie-prog of Minneapolis’ Fort Wilson Riot, or the infectious victory-pop panache from Ann Arbor’s Tigerlance? For more information, check out LCMF’s FaceBook page www.facebook.com/LostCityMusicFestival or their website www.lostcitymusicfestival.com, there’s bound to be several good reasons to find yourself at Lost City.